Thank you to the golfers that joined us for our Golf Outing! Special thanks to our sponsors, volunteers, and The Brassie who made it possible. And extra special thanks to the weather for cooperating this year! See you next year!! Thank you to everyone who donated, organized, and attended our 2016 Sunset Soirée!!! Join us for another fun night next spring. Details to come, so keep watching our Soirée page! 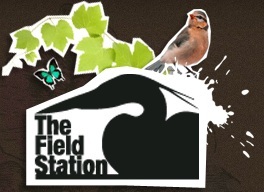 Thank you to the sponsors, and runners who supported The Field Station Frenzy 5K Run/Walk and FunRun this year! We love having an event for the whole family! Keep watching our Frenzy 5K page for details on next year's race.